A Job website deals in specifically with employment or careers. A Job site comes with a front site (fully customizable and template based), jobseekers administration space (with functionality for the users to edit their profile, consult the job offers, manage their resume etc. ), employers administration space (allowing the employers to post job ads, manage their company profile, search the database with the jobseekers resumes and many others) and powerful back office for the administrators (providing full control over the website, structure and content management, detailed user management, search engines reports, statistics and many others). Browse jobs categories that are sorted by functions, hot jobs. Advanced search feature to search for more specific jobs. Banners of top employers on homepage. Static information pages like news, FAQ, about us etc. Edit Resume – Email Resume – Print Resume. Manage Photograph - Change Password – Delete Resume. Quick Job Search – Advanced Job Search – Forward Jobs. View dates of resume - created & last updated dates Suspend /activate resumes. Add multiple list of qualification and experience. 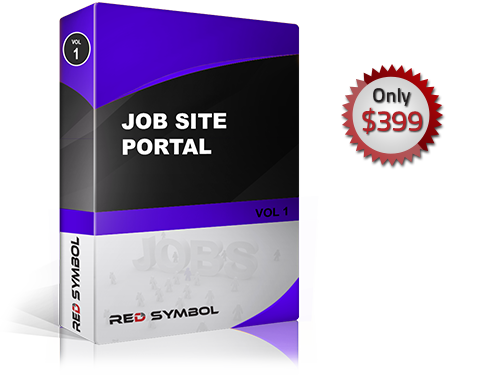 Search jobs by location, qualification, category, company, location, experience, keywords and many more parameters. View all jobs by a specific employer. Submit resume to any employer with one click. Resume can be made private or public. Option of including company profile, contact information and logo Update profile at any time. Refresh jobs the preview job posting option allows you to validate a job posting to check for improper inputs, misspellings. Search resumes by location, qualification, category, Company, location, experience, keywords and other advanced parameters. View list of job seekers who have been called for interviews. View number of click-through and applications a job has received. View the number of views and applicants for a specific. Confirmation email on registration of a jobseeker. Search for jobseekers on various parameters. View detailed info for all jobseekers including all resumes. Ability to export account information for job seekers. Import resumes directly from existing database. Confirmation email on registration of an employer. Notification email to the employer on expiry of membership. Search for employers based on various parameters. Add/edit/delete/activate/deactivate job postings for employers. Ability to export account information for employers. We have already developed this type of job sites. However, we are ready to do work on your customize requirement.